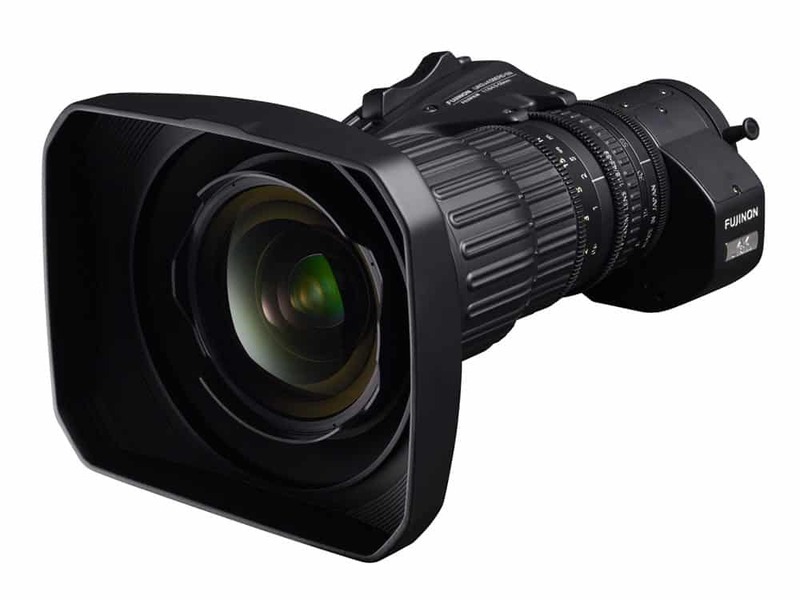 Fujinon UA13x4.5BERD ENG lens features remarkable resolution in 4K, high contrast and HDR. With its 4.5mm of focal length, it is able to shoot Ultra wide angle images. Fujinon UA13x4.5BERD lens integrated with floating focus system, which helps the lens to be in top in its series. It is capable of high resolution images in full zoom range as well as suppressed the distortion of images that tends to occur at ultra-wide angle focal lengths and reduce the resolution.